Indiana had the coldest, longest, snowiest winter of my entire life, so a trip to Florida where the temperature never got below 70 degrees the whole week was a much needed escape! I went with my mom and dad and it was a post-30th Birthday trip of sorts. On Saturday, March 22nd, we flew in to Fort Lauderdale, picked up our rental car and did a little exploring of Miami. 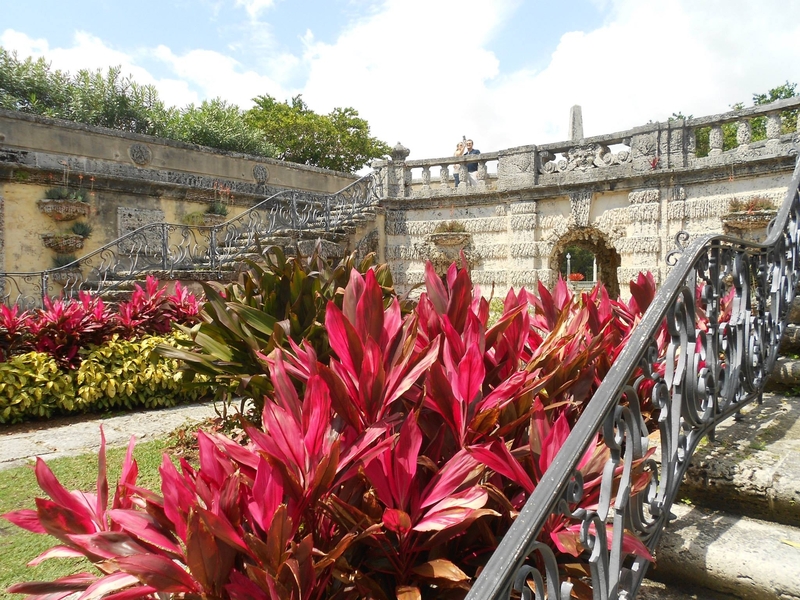 Our first stop was the Viscaya Museum and Gardens, the tropical home of millionare James Deering, who founded Deering Harvester. The mansion was gorgeous, as were the gardens surrounding it.After several hours at Viscaya, we decided on a late lunch at Havannah Harry’s, a local Cuban restaurant. I tried fried plantains, also known as banana chips. The food was good although I wouldn’t have minded if it had been a little bit spicier. Following lunch, I grabbed a t-shirt from the Hard Rock, stopped for a quick photo op at the vintage Coppertone Girl sign and we attempted to check out the famous South Beach. Traffic was a nightmare, people crowded the streets and parking was $20, so I decided to head toward Homestead, FL instead of sticking around Miami on a Saturday night. Day two was spent in Everglades National Park. 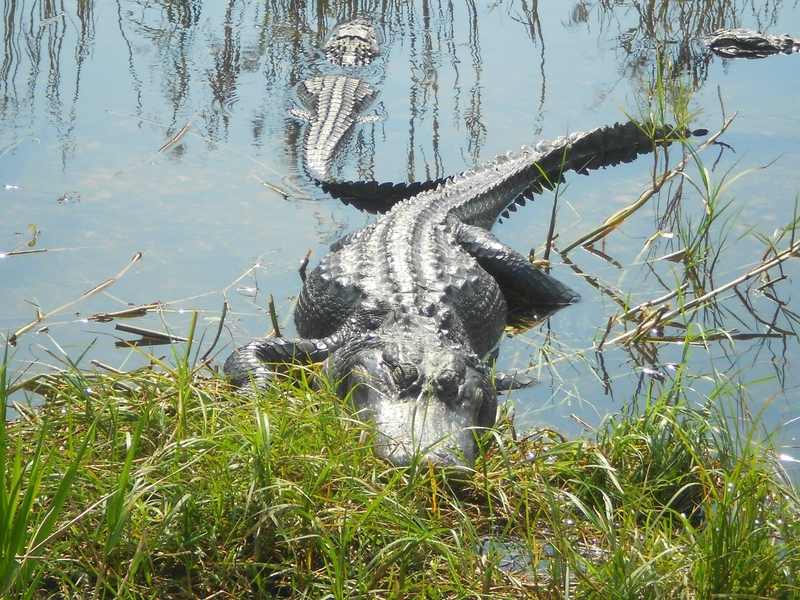 We took a walking tour on the Anhinga Trail where we saw LOTS of alligators, birds and fish. It was probably my favorite part of the park. After the walking tour, we took a back country boat tour which took us out in to the part of the park that most people don’t get to see. On our way out of the park that evening, we stopped to do another short trail tour and saw an owl snoozing in a tree right next to the trail! That was also a highlight of the day. Our third day in Florida was spent in Key Largo at the John Pennekamp State Park where we spent the afternoon snorkeling. I saw lots of fish, coral and an underwater statue of Christ of the Abyss, which was put there in memory of sailors who lost their lives at sea. My mom saw a sea turtle, but unfortunately, I did not. After the day at the park, we began the beautiful drive down Highway 1 and in to the Florida Keys, stopping for some Key Lime pie on our way to the hotel that night. Day four started off rainy and stormy but cleared up by mid-morning and in time for our dolphin swim that afternoon. This was the most exciting part of the trip and something I’ve been wanting to do for a very long time. We got a short lesson on what to expect and then the dolphin trainers took us out in to the water with four dolphins: Hastings, Lucky, Tatum and Balla. While in the water, we got to stroke the dolphins, help with training, feed them fish and briefly swim out in deeper water with the dolphins. It went very quickly and the dolphins seemed to love every minute of it! 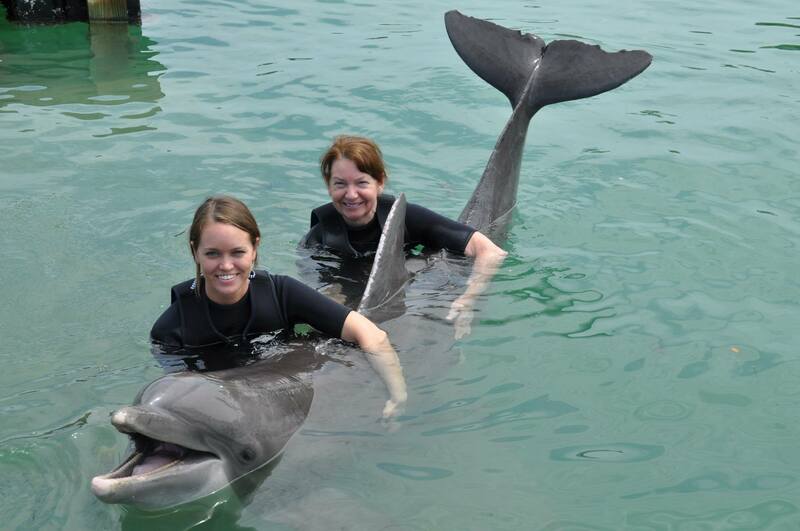 The four dolphins that live at Hawk’s Cay were either rescued and unable to return to the wild or born in a zoo, so they were not captured specifically for the purpose of training them to swim with people. I highly recommend this program and the people with Dolphin Connection seem to really care about protecting dolphins in the wild and at their facility. After the dolphin swim, it was off to Key West! We ate dinner at the famous Sloppy Joe’s Bar – a place that classic writer Ernest Hemingway used to frequent during his time living there. Our fifth day of the trip was supposed to be spent at Dry Tortugas National Park, an island 70 miles off the coast of Florida. Unfortunately, it was extremely windy that day and there were 9 ft. waves at the fort, so the tour company would not take us out there and the trip was canceled. Instead, we spent the day walking all over Key West and taking in some of the sights. 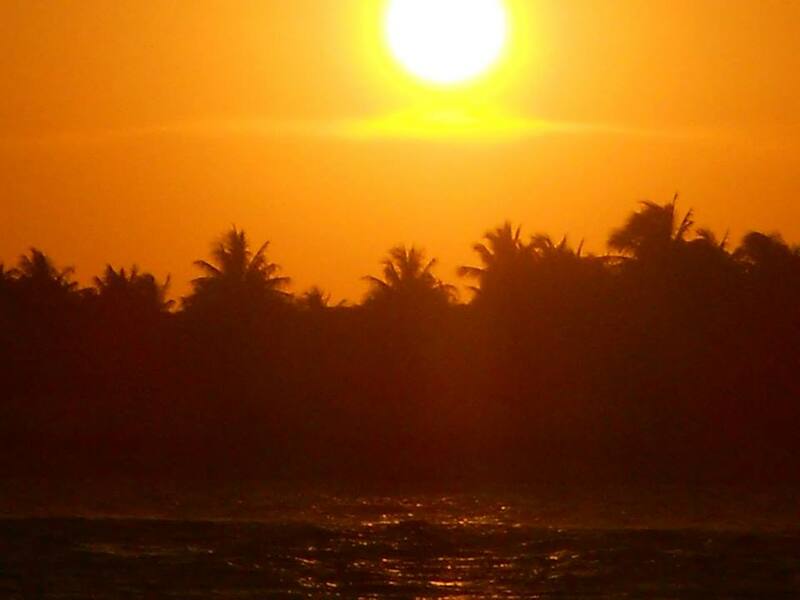 We toured the Hemingway House, Mel Fishers’ Maritime Museum, stopped at the Southernmost Point in the Continental United States, found a huge tree, saw mile marker 0, the Key West lighthouse and watched the sun set from a pier near downtown. On our last day in Key West, we took a guided tour of Fort Zachary Taylor, which is home to some of the largest Civil War era cannons in the United States. Following the tour, we spent a couple hours on the beach nearby – it was very windy again that day, so I didn’t do anything swimming but I did walk out in to the water a few times. Most of Friday was spent driving back up to Miami, where our flight left out the next morning at 6 A.M., returning us to 50 degree colder temperatures back home in Indiana. It was a great trip though and I got to see a part of Florida that I had never been to.